There are very few things that I bring on every single trip regardless of temperature or destination, but a watch always makes the cut. All of my travels are filled with activities and adventures and knowing the time is important to making it all fit. It’s difficult to find a watch that is stylish enough to wear for any occasion and reliable enough to risk my schedule on. My phone battery often dies, leaving me relying solely on a watch. Tense Watches are the perfect style and function for me. 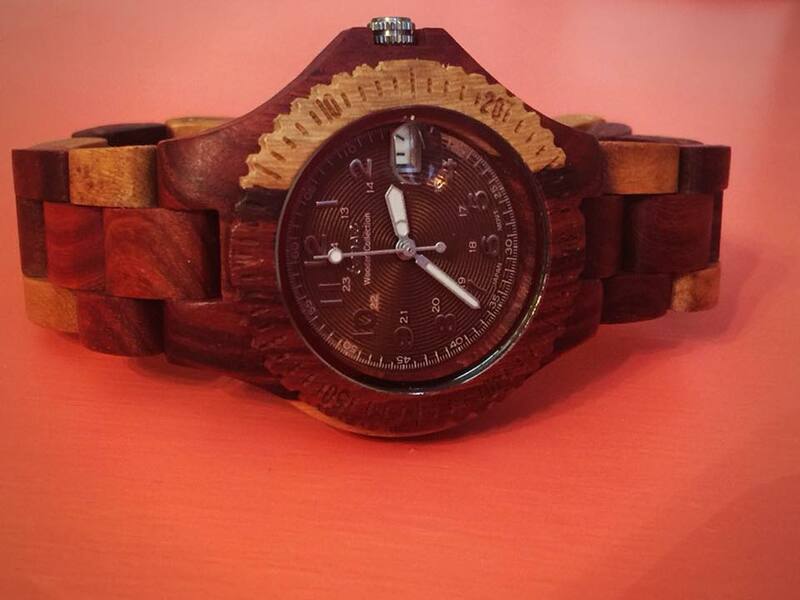 Their recycled and reclaimed wood has a unique original look and they are manufactured by hand in Canada. I found their Small Compass watch and instantly knew it was the perfect fit for me. 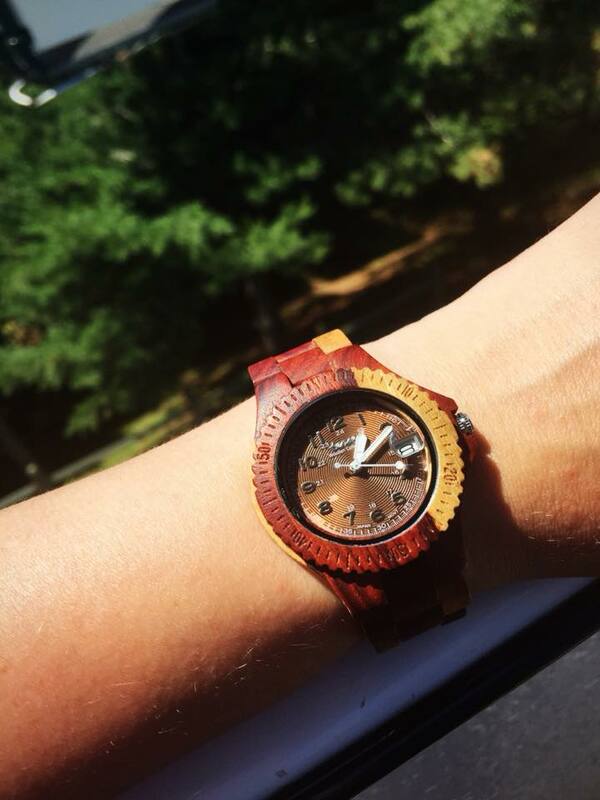 The Small Compass watch is a women’s wood watch that shows hourly markers, second markers, the calendar date, and has luminescent hands on a round face. I use my watch for the date as much as the time. Would you believe that the only time I know the date is on travel days? I’ve even forgotten my own birthday before. I’m constantly filling out customs forms or signing my life away in waivers and my go-to response is to look at my wrist for the date. The bold, magnified date on the Small Compass watch is the number one reason why I chose it. 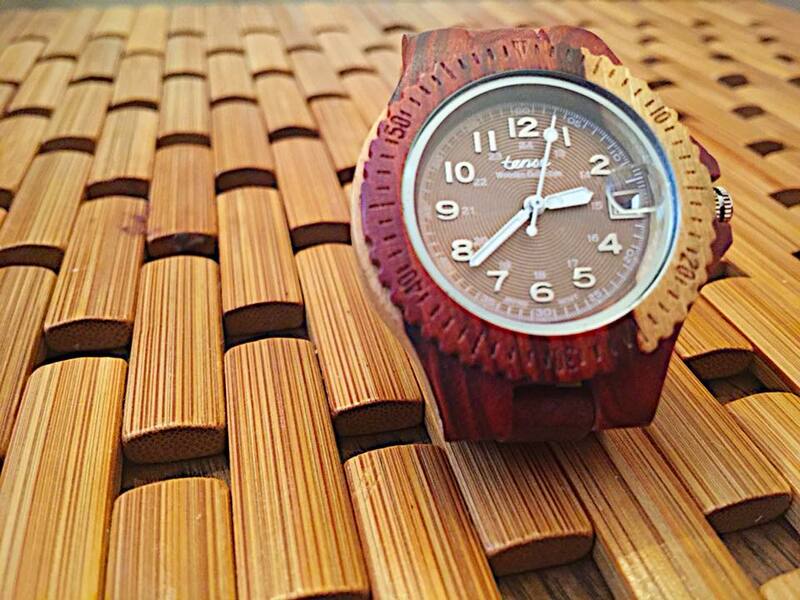 Tense Watches are all made from 100% recycled and reclaimed wood, with stainless steel crown and clasp. 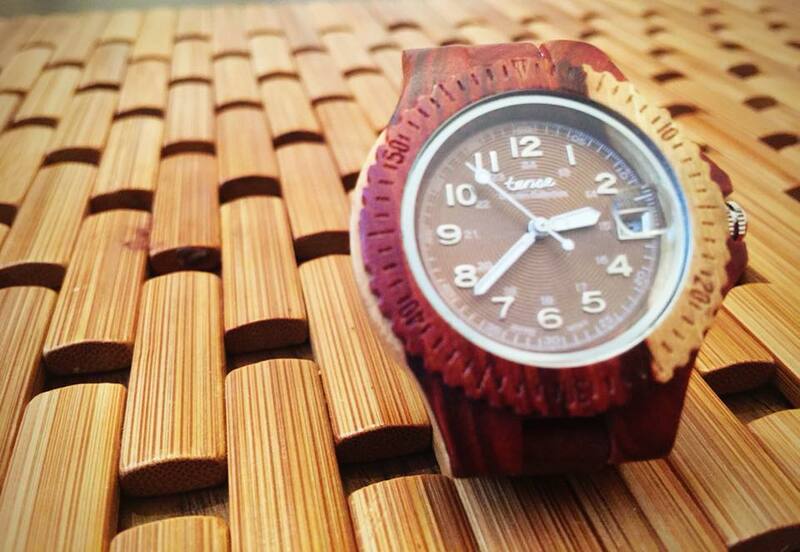 You can’t go wrong with wood. It goes with every outfit and the style is small enough that it still looks elegant. My favorite part is the duel tones, making it match any outfit. Wood is like diamonds; they go with everything. Equally important, Tense Watches are hypoallergenic. My skin is super sensitive, especially in the summer when I easily develop a heat rash from most products and materials on my skin. Even during the extreme heat wave in Quebec the last two weeks, I didn’t develop a rash from wearing my Small Compass watch. Additionally, Tense Watches are adjustable in size. I’m certainly not under weight by any standards, but my wrist has always been tiny. It’s just skin and bones. I often look for watches in the children’s section because it’s difficult to find something to fit my wrist. Regardless if I’m manning the helm of a ship, jumping out of a plane, or attending a dinner party, Tense’s Small Compass is a great fits my style and active life. 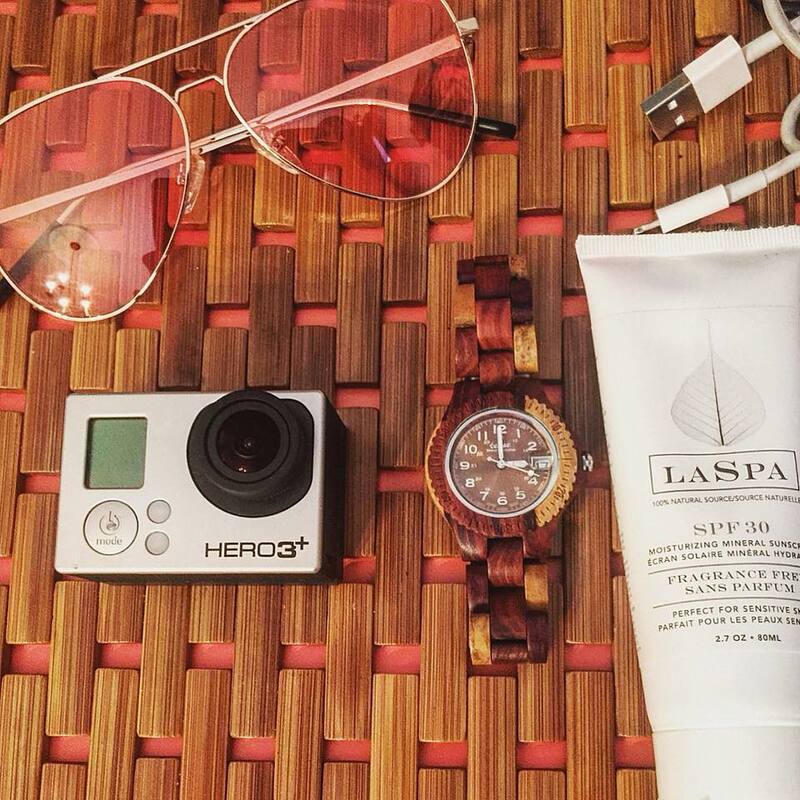 Read more about our other travel essentials like Tense Watches at Adding LASPA to our Summer Travel Essentials. Beautiful watch! And it’s simple. I like that!